An eco-luxurious house in The Hamptons. “If We Took a Holiday...” Vanity Fair picks its top gifts for the Holiday Season. Architectural Digest deems Tommy Zung’s architectural studio, Studio Zung, as one of the ‘Top Architectural Firms to Watch’. Studio Zung collaborates with Curve and Tom Dixon. Studio Zung's new surfboard collection scores a perfect 10. Dwell loves how Studio Zung merges tech and luxury. 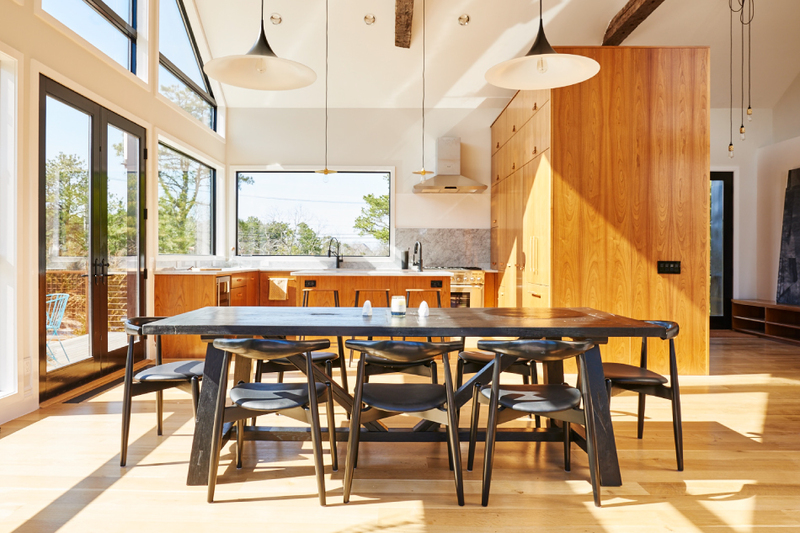 Studio Zung reinterprets traditional design in The Hamptons. Architecture, sustainability, and luxury. A new wave of design looks at lifestyle first. Studio Zung redesigns Sean Macpherson’s (The Bowery Hotel, The Ludlow) “Crow’s Nest” to create boutique hotel in the Hamptons. Studio Zung-designed spec house breaks the mold. "Chat With New York’s Coolest Designer Tommy Zung"
"An Intimate, Modern Sanctuary in New York Asks $4.9M"
"Tommy Zung, Surfboards - Collectors Chronicles"
"A NYC Architect’s Design Guide to Manhattan & Surfing Around the World"
"High-Design Swears from Architect Tommy Zung"
"Collectors’ Chronicles: Tommy Zung, Surfboards"
"New contemporary construction in Amagansett listed for $5M"
"New Amagansett smart home by Studio Zung"
"Tour Atelier 216 - an Elegant, Eco-Luxurious Hamptons Residence"
"Architecture + Sustainability + Luxury"
"If We Took A Holiday: Vanity Fair Featured Holiday Picks"
"Bucky Fuller and Spaceship Earth"